About 5,435 jobs in Banking & Finance sector. United States and many ofthe world's most prominent corporate, institutional and government clientsunder its J.P. Morgan and Chase brands. Information about JPMorgan Chase &Co. is available at www.jpmorganchase.com . J.P. Morgan is a place for talented people from allbackgrounds and perspectives because our clients come from all backgrounds andperspectives. We encourage a culture of inclusion, where everyone's opinioncounts and all employees have the freedom to deliver their absolute best. Thisis why we work hard and invest in attracting and developing a diverseworkforce. Learn more about our Business Resource Groups in how they helpour employees build successful careers and reach their greatest potential. An exciting opportunity to join the Global Corporate Bank (GCB) Singapore team asthe regional coverage banker for Japanese corporate clients with regionaloffices and decision-makers located in Singapore and ASEAN markets. We arelooking for an exceptional individual with the ability to provide transactionalsupport and grow sustainable revenues and ensure we continue to deliver a bestin class service to our clients. 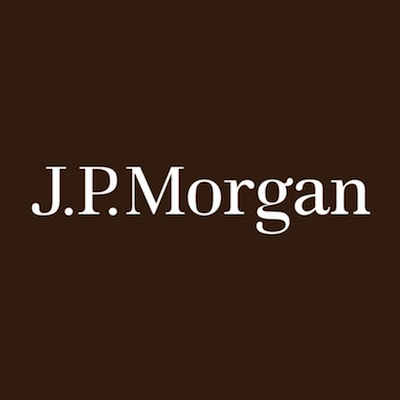 • Cultivate and develop effective relationship byaddressing Japanese corporate clients' unique banking requirements with JPM'svalue proposition and global network. • Facilitate the origination efforts with internal product partners and HQbankers to identify, structure and deliver value-add solutions across productuniverse including DCM, Cash Management, Trade Finance (including ECA),Traditional Lending, Structured Finance, FX & Rates, Commodities andFutures & Options. • Identify and expand the Japanese portfolio by working closely within-country relationship managers and parent bankers. • Conduct and manage deal pitches and execution seamlessly via creatinghigh-quality account planning, pitch books and strategy papers for bothinternal and external purposes. • Support the team to manage KYC on-boarding, renewal and remediationprocesses. These points have been carefully considered as being essentialfor the role. Your background must accurately reflect all of these for yourapplication to be considered. • Coverage of existing Japanese names operating acrossAsia Pacific, with solid knowledge of corporate banking products, is stronglypreferred. • Strong financial analytical skills, able to identifyclients' potential banking requirements via effective quantitative andqualitative analysis including credit & risk analysis, detailed capitalstructure and business model analysis. • Strong sense of discipline to adhere to all bankingregulations and rules in relation to compliance, KYC, AML and sanctions. • Display consistently high standard of personalintegrity and commercial judgment. • Excellent communication, negotiation and persuasiveskills. Strong influencing skills, proven track record of managing crosscultural environments and inter-department collaboration behavior. The ability to read and speak fluent English and Japaneseis a prerequisite. of consumers in the United States and many of the world's most prominent corporate, institutional and government clients under its J.P. Morgan and Chase brands. Information about JPMorgan Chase & Co. is available at www.jpmorganchase.com . J.P. Morgan is a place for talented people from all backgrounds and perspectives because our clients come from all backgrounds and perspectives. We encourage a culture of inclusion, where everyone's opinion counts and all employees have the freedom to deliver their absolute best. This is why we work hard and invest in attracting and developing a diverse workforce. Learn more about our Business Resource Groups in how they help our employees build successful careers and reach their greatest potential. Treasury Services (TS) - the world's largest cash management provider - moves, concentrates and invests client money. TS products include payments, collections, investments, and information services that help companies manage working capital and liquidity. The business, which operates in more than 40 countries, is the world's largest U.S. dollar clearer, processing an average of $3.2 trillion in fund transfers each day. More than 135,000 corporations, financial institutions, governments and municipalities in over 180 countries and territories entrust their cash business to J.P. Morgan. As a Core Cash Product Solutions Specialist, you will be responsible for new business development as well as engagement with the client coverage team to establish a platform for consultative discussions focused on structuring efficient and innovation-driven client solutions supporting clients' business goals while growing and retaining revenue for the bank. The role partners closely with Global Corporate Bank, Financial Institutions, Broker Dealers and non-bank financial institutions sales and service teams in order to drive the Core Cash product value proposition and implementation of new business. You will also help deliver the broader business strategy around innovation and emerging technology, e.g. Virtual Account Management, API, in Treasury Management products. This includes developing a strong product value proposition, driving solution set, client collateral, and competitive analysis as part of overall market management for the Core Cash Product organization, managing the risk and control agenda and following and implementing industry changes. Additionally, you may be asked to promote J.P. Morgan's thought leadership by speaking at industry conferences and client events as appropriate. Our Global Technology Infrastructure group is a team rewarded with innovators who love technology as much as you do. Together, you'll use a disciplined, innovative and a business focused approach to develop a wide variety of high-quality products and solutions. You'll work in a stable, resilient and secure operating environment where you-and the products you deliver-will thrive. deep experience in database design and management to the test at one of the world's top financial firms? It's time to find out. In this role, you'll lead a talented team, guiding the analysis, design, installation and configuration of large-scale database management systems. You'll own the projects and the processes - from prioritizing tasks and managing scope, to ensuring that all production changes are in line with lifecycle best practices and firm policies. On your best days, you'll uncover innovative ways to automate operations, creating new efficiencies, improving productivity and making life better for your colleagues and our customers. And while the data product is important, this job is also about people. You'll collaborate with some of the best tech minds in the business, sharing knowledge and building a network that spans the globe. In addition to building relationships with other managers and stakeholders, you'll be responsible for coaching and mentoring your less experienced team members, and helping to hire our next generation of technical talent. delivering cutting edged mobile applications, digital experiences and next generation banking technology solutions to better serve our clients and customers. Working in Application Support means you'll use both creative and critical thinking skills to maintain application systems that are crucial to the daily operations of the firm. You'll work collaboratively in teams on a wide range of projects based on your primary area of focus: design or programming. While learning to fix application and data issues as they arise, you'll also gain exposure to software development, testing, deployment, maintenance and improvement, in addition to production lifecycle methodologies and risk guidelines. Finally, you'll have the opportunity to develop professionally -and to grow your career in any direction you choose. •Research issues escalated from Merchants, Operations internal system alerts, Help Desks, Support Groups and other departments. •Perform Ad Hoc service requests and manual workflow activities. This position is anticipated to require the use of one or more High Security Access (HSA) systems. Users of these systems are subject to enhanced screening which includes both criminal and credit background checks, and/or other enhanced screening at the time of accepting the position and on an annual basis thereafter. The enhanced screening will need to be successfully completed prior to commencing employment or assignment. •Minimum 3+ years of overall professional experience in an large-scale, high availability, fast paced, distributed environment. •Minimum 2+ years' experience in a technical lead or support management role. •One to five years' experience using scheduler software such as Control-M, CA-7 and/or Netbatch. •Strong interpersonal skills, including verbal, written, and listening skills with the ability to influence and lead others. •Self-Starter with the ability to identify, troubleshoot, and skilled in problem solving and decision making. •Proven ability to multi-task, prioritize and attention to detail in a fast paced ever changing environment. •Ability to interact with individuals on all organizational levels. •Establishes strong working relationships with team members and across functions. •Ability to communicate with technical and non-technical customers. •Able to work under pressure to resolve issues affecting the production services. •Understanding of monitoring tools a plus. •Experience in Payment processing/Cards industry a plus. When you work at JPMorgan Chase & Co., you're not just working at a global financial institution. You're an integral part of one of the world's biggest tech companies. In 20 technology centers worldwide, our team of 50,000 technologists design, build and deploy everything from enterprise technology initiatives to big data and mobile solutions, as well as innovations in electronic payments, cybersecurity, machine learning, and cloud development. Our $10B+ annual investment in technology enables us to hire people to create innovative solutions that will are transforming the financial services industry. to speed on the progress of what's being developed. Coming in with an understanding of the importance of end-to-end software development-such as Agile frameworks-is key. And best of all, you'll be working with and sharing ideas, information and innovation with our global team of technologists from all over the world. •Experience in developing web application using popular framework such as Spring Framework, Spring MVC, Sencha ExtJs/JQuery/AngularJS, XML and etc. •Good knowledge with common Relational Database, SQL and ORM technology such as DB2/Oracle/Sybase, myBatis, and etc. •Experience with OS systems e.g Windows/Linux and etc. Our Asset and Wealth Management division is driven by innovators like you who are driven to create technology solutions that make us work more efficiently and help our businesses grow. It's our mission to efficiently take care of our clients' wealth, helping them get, and remain properly invested. Across 27 cities, our team of 4,600 agile technologists thrive in a cloud-native environment that values continuous learning using a data-centric approach in developing innovative technology solutions. keeping the firm safe, stable and resilient. We are looking for multi-disciplined forward-looking technologists like you with diverse backgrounds and experiences including in areas such as cybersecurity, big data, machine learning risk management and controls, compliance and oversight, cloud security. • Support several technical teams across varying big-data Enterprise platforms. Site Reliability Engineering (SRE) / Infrastructure Support professional, you'll be making decisions of a global and strategic nature that impact our customers, clients, and businesses around the globe. Your expertise in analyzing complex systems, anticipating problems, and finding ways to mitigate risk, will be key in leading a high performing team to successfully provide first-class infrastructure service to our customers, clients, and businesses around the globe each and every day. By incorporating your knowledge of UNIX/Linux and Windows platforms and infrastructure automation, you will affect change and lead development of innovative improvements and world-class practices. Your team will be responsible for driving operational stability and reliability in a Site Reliability Engineering (SRE) operating model, and they'll look to you to provide the technical leadership to move them forward. And while you will be part of a tight-knit team that shares your passion for technology, you'll also gain access the best minds in the business-both as part of the JPMorgan Chase & Co. global technology community, and through our partnerships with some of the most important tech firms in the world. This position co-leads an infrastructure SRE / operations organization responsible for around the clock management and support of infrastructure control and management applications, embracing SRE principles and practices. The ideal candidate is an experienced and enthusiastic global leader, with a proven track record of leading development and production support teams as well as being a driver of operational and technology change. This individual has excellent technical, communication, teamwork and inter-personal skills; is capable of managing advanced budgets and geographically diverse teams; and is driven to eliminate toil by designing / adopting better tools and automation techniques. •Understanding of backup process, system monitoring, performance tuning, disaster recovery, and scripting for Linux based operating systems or business applications running atop a Linux OS. J.P.Morganis a global leader infinancial services, offering solutions to the world's most importantcorporations, governments and institutions in more than 100 countries. GlobalClearing Operationssupports Clearing, Reconciliations, Middle Office,F&O House Ops, Expiries & Deliveries, Settlement, Brokerage, ClientOn-boarding, Client Money, Regulatory Reporting, Static Data Management andPosition Management. We are an equal opportunityemployer and value diversity at our company. We do not discriminate on thebasis of race, religion, color, national origin, gender, sexual orientation,age, marital status, veteran status, or disability status. Singapore. A multicultural island-state, exotic and modern.A hub of finance and business. We've been here since 1964. It's a great city tolearn and grow, both professionally and personally. Singapore is a criticalregional hub for us. Our Singapore Corporate Center in Changi opened in 2013,playing an important role as one of the firm's critical Technology & Operationshubs around the globe. And we're still investing. We get to work with manyregional colleagues in countries such as Malaysia, Thailand and Indonesia. FromSingapore, we offer various services ranging from investment banking to assetmanagement. As a Center of Excellence, it's also the hub for our regionaltechnology, operations, compliance, cyber security and other services. TheMargin Middle Office's primary responsibility is to manage Asia clientsexposures Global Cleared Derivatives exchanges and ensure all daily marginmovements are managed and settled effectively. The team provides anefficient service and query resolution for all exchange traded derivative andOTC products to both internal and external clients of JP Morgan. JP Morgan is aclearing member on 60 Futures & Options exchanges globally and is rapidlyexpanding its OTC offering under our CIB group. This role is primarily focused upon derivative products. These includeFixed Income Securities, Equities, FX & Oil, Gas, Metals, Metals andAgricultural. It is helpful that the candidate has some knowledge of themajority of these markets. The person should have some understanding of thephysical delivery of contracts including fixed income, equity &commodities. •Has perspective and can see issues andgoals from different angles and levels. The Corporate & Investment Bank Finance and Business Management (F&BM) group provides financial advice to support the businesses and technology strategy and helps to ensure a sound control environment. Within F&BM, the four major areas of responsibility are: Business-aligned Business Managers, the Controller, Support Staff CFO, and Planning and Analysis. APAC CIB and Regional CIO Technology F&BM group provides financial advice to support the businesses and technology strategy and helps to ensure a sound control environment including partnering with all lines of business to deliver application technology solutions. The role will support the reporting needs of Executive Management, including transparency around allocations cost base. The candidate must be able to organize, and deliver monthly and ad hoc requests and quickly define views that prompt decisions by Senior Management. The role demands superior analytical skills, relationship management, technical abilities and flexibility. •Responsible for gathering relevant data, then analysing and reporting the data in a meaningful manner to support management decisions around business processes and efficiencies. •Analysis of budgets and costs for major direct expenses and allocations and presents analysis to upper level management and internal clients. •Analysis and presentation of financial variances and trends, consolidation and reporting of explains. •Ability to summarize complex data sets and provide key messages specifically highlighting risks as soon as they become apparent. •Management of Technology finances including Direct / Indirect chargeback & allocation methodologies. •Provide the proper level of transparency on expenses & resources with a focus on key drivers and to maintain governance over financial controls. •Reconciliation and analysis of monthly financials from multiple reporting tools. •Provide management & client reporting with a focus on the overall business unit performance against objectives. •Proactively highlight issues and risks to the objectives, derive solutions and drive remedies to completion including headcount planning and tracking, productivity tracking, run rate analysis, and cost recovery. •Management of monthly financial forecast process and monthly financial variance commentary. •Creation of PowerPoint presentations and dashboards for senior management, needs to be accurate, of very high quality and often requiring quick turn-around. •Executive Level management reports on strategy, budget, project delivery, controls, risks and delivery. •Collaborate and lead to ensure monthly APAC and CIB EMR is delivered on time with quality and actionable driver explains. •Suggest and implement controls to improve efficiency & accuracy of existing processes and reporting. •Build and roll out new training efforts to address knowledge gaps. •Coordinate Headcount Location Plan submissions per Global Technology guidelines through collaborating with Technology business partners and Corporate Real Estate organization. •Support technology spend and allocations substantiation to internal auditors, PwC and tax office covering APAC countries. •At least ten years of finance professional experience in the financial services industry, preferably across technology business and finance functions. •Sound working knowledge of financial systems and processes with expertise in managing extremely large data-sets and using aggregation tools to consolidate data into meaningful analysis for decision making. •Strong relationship management skills to interface with various stakeholders. •Capacity and desire to work both at a strategic and detailed analysis level. •Self-motivated individual to go beyond immediate responsibilities with excellent organization skills. •Ability to multi-task and work under pressure within an environment with rapidly changing priorities. •Clear communication skills, and the ability to articulate complex issues concisely. •Able to work with limited supervision and as part of an integrated team. •Advanced systems skills required including knowledge of Excel, Essbase, SAPCO, PowerPoint and Clarity. Our Global Technology Infrastructure group is a team rewarded with innovators who love technology as much as you do. Together, you'll use a disciplined, innovative and a business focusedapproach to develop a wide variety of high-quality products and solutions. You'll work in a stable, resilient and secure operating environment where you-and the products you deliver-will thrive. professional, your mission is to help lead our team of innovators and technologists toward creating next-level solutions that improve the way our business is run. Your hands-on knowledge in system design, application development, testing and operational stability will help your team deliver high quality products. You'll be instrumental in solving more difficult technical issues, developing integration elements, building data models, APIs, and open 3rd-party SDKs. You'll see your ideas come to life as part of a small, success-driven team. Your quest to embracing leading-edge technologies and methodologies inspires your team to follow suit. And best of all, you'll be able to harness massive amounts of brainpower through our global network of technologists from around the world to tackle big challenges. •Provide technical expertise throughout the software lifecycle including design, implementation and delivery. •Expertise in Windows 2012 /2016 Active Directory environment, including experience with the design and operational support of Forest, Tree, Domain, Sites and services, Replication, GPO's, OU design principles, Multi-master operations, & WINS name resolution systems.